This post will stay on top until noon Friday August 31st. 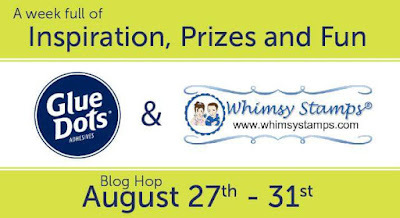 To enter into the giveaways, you just need to comment on EACH blog throughout the hop. Then for the grand prize after you have commented on all stops along the hop, enter your name and email in the Linky-Tool at the last stop. Winners will be randomly selected and announced on Monday, September 3rd. Good luck and have fun! 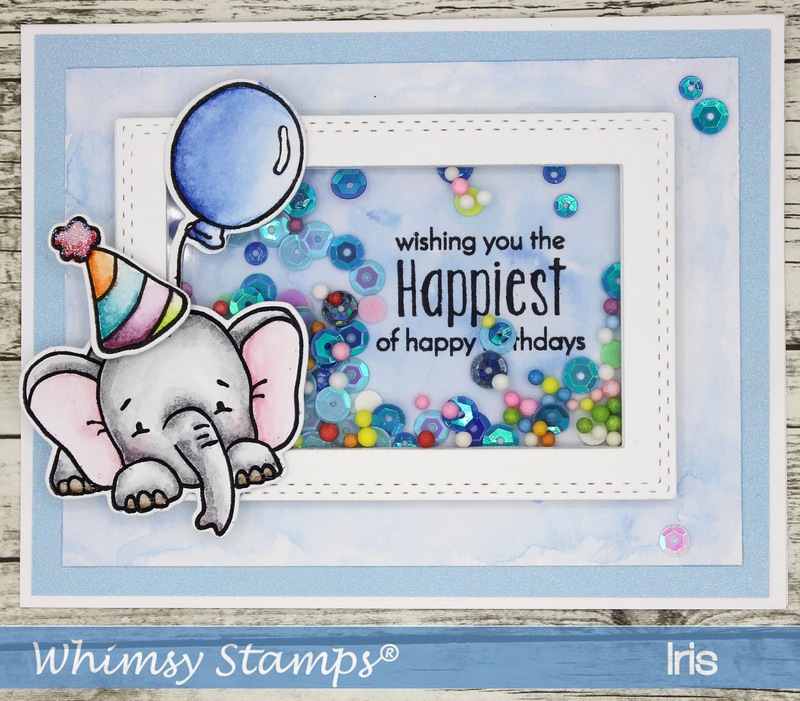 For my project for todays hop I made a sweet shaker birthday card using the Sketched Elephants clear stamp set and the matching Sketched Elephants dies set. I colored the images using PITT Artist Big Brush Pens. They are India ink pens and water soluble. Once dry the ink is waterproof. I like the bright India ink colors and because they are waterproof after they dried you can layer and built the colors easily. I also used these pens to create the shaker background layer. The shaker window is made using the Shaker Maker Rectangle die set. 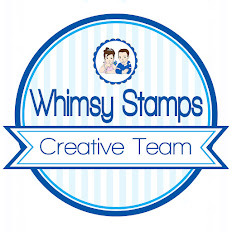 Links to all the Whimsy products used can be found below. Just click and the links will get you right to the product in the store. I used Glue Dots Micro Dots to adhere some of the shaker filling to the background. They are super small and permanent, so perfect for the job. The clear acetate sheet was adhered using Glue Lines. With a Pop-Up Glue dot I added the elephants hat to give it a real 3D effect. The elephant image and the balloon where glued on with All-purpose Glue Dots. Thanks for stopping by today and have fun hopping! Good luck! Cute, Cute, Cute!!!! You also made it a shaker! ADORABLE. Awww, how cute is that elephant?! Awesome card! I love micro Glue Dots ®! They are sooo handy. This is a darling card! My elephant loving daughter would love it for her bday this week! Aw, what a sweet and adorable elephant, and who seems ready to party! OOH, I love the little elephant! Adorable card! Thanks for sharing this elephant card. I have a new Granddaughter and she would love it. Never knew there where dots for shaker cards!! Thanks so much for sharing! A super cute card, love the pastel colours. Aww this is just such a sweet shaker card you crafted for the hop! So loving it! Thanks for the share! 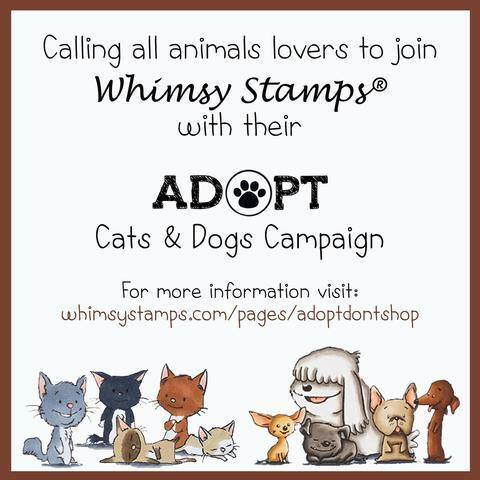 Love shaker cards! I LOVE LOVE LOVE that elephant! Super cute shaker card! Love the little elephant! What a fun shaker card! Great layout and colors. 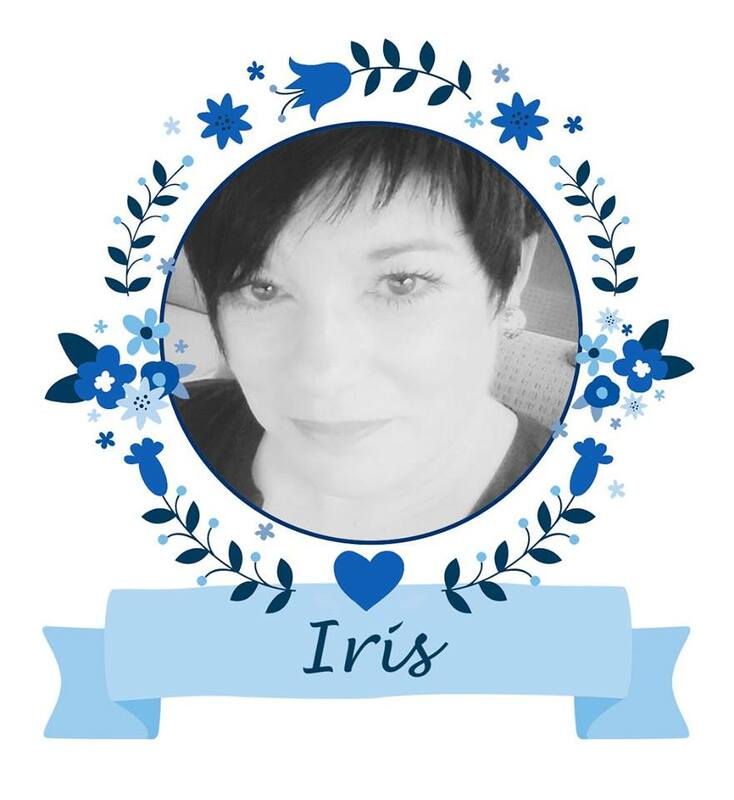 As usual, great card Iris! Love the soft colors. Cute! Darling shaker card! I love the sweet elephant and your pretty coloring! That elephant is darn cute! Nice job! 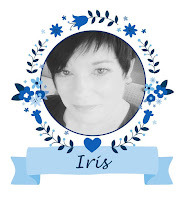 what an adorable use of the stamps and dies...you knocked it outa the park!! Great shaker card!!! So colorful and.... I love elephants!!! Love the shaker card. I have not made many and they were not as cute as this. Maybe I need to try again and work harder. Oh this card is absolutely adorable! Now I need this stamp set too! Love this shaker card! What a beautiful shaker card, love the image and the bright colours. sweet. The shaker is beautiful. What a cute shaker! Love that elephant, and your coloring is fab as always! He is adorable. I really like the shaker. This would also make an adorable baby shower card. Elephants are my favorite animal. I love this elephant stamp! Awesome job on your shaker! Thanks for sharing! Oh my, I adore your wonderful design and details! Beautifully done! I look forward to seeing your creations each month. Your talent mesmerizes me. I love, love, love your little shaker. Love this bright happy shaker. Thanks for the inspiration. I love the shaker frame. So creative! Fabulous shaker--love this cute elephant. The elephant is so sweet. What a cutie pututi little Elephant! Just so precious! I also love that it is a shaker card very cool looking! Such a fun shaker card. I love your little elephant. Darling card! The colors are perfect and your elephant is the cutest thing!